Today is the one-year anniversary of the Living Arts Weekly blog! What a fitting theme for our anniversary issue — community. And what a week to celebrate community! Today our Irish friends (or anyone who wants to be Irish for a day) celebrate St. Patrick’s Day. On Thursday, our Jewish friends celebrate Purim, a holiday of feasting and gladness. Over the past year, we have welcomed hundreds of new people to our LifeWays community through our weekly blog. Thank you for being part of our LifeWays family. To celebrate, we are offering a FREE video conference with Rahima Baldwin Dancy (see below), as well as FREE ONLINE COURSE GIVEAWAY! 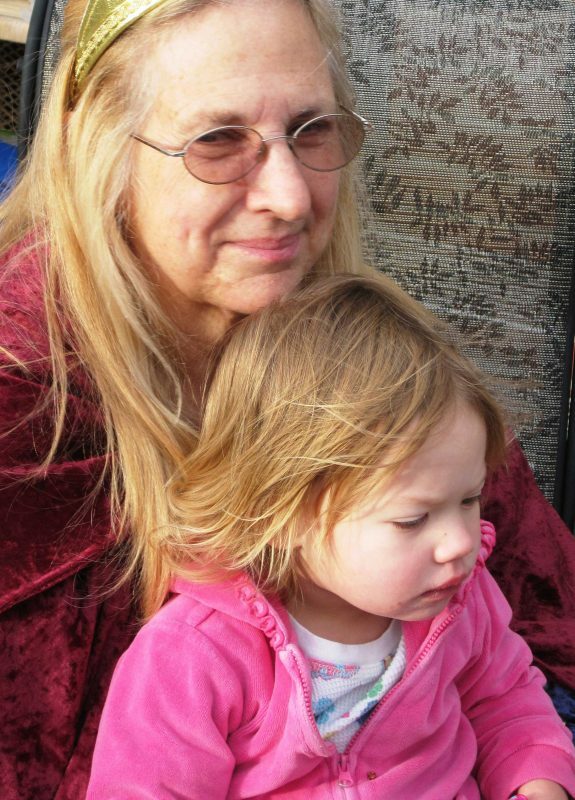 Learning to Observe Children, with Mary O’Connell and Cynthia Aldinger, beginning March 27th! This course, valued at $120, is perfect for childcare providers or teachers who work with young children, and completion of the course earns you a certificate for 10 hours of continuing education. You’ll also receive the book, Observing Young Children, A Tool for Meaningful Assessment and the Recordkeeping PDF file! Inspired Homemaking, with Rahima Baldwin Dancy, beginning April 3rd! 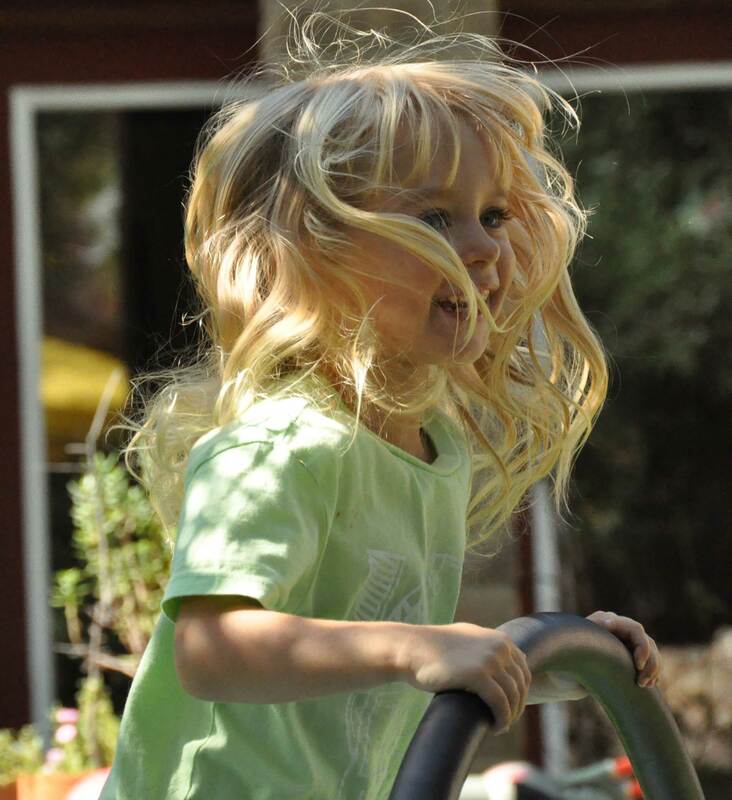 This course, valued at $150, is perfect for parents of children of all ages. By exploring four different “levels” of your current home—just as it is—you’ll be uniquely ready to bring new awareness and intention to consciously creating the kind of home life your heart desires, one which is supportive to every member of the family, including yourself. This course also includes a free live conference call with Rahima! Our online courses are rich, full of wonderful resources, and interactive. Be sure to enter now for our FREE GIVEAWAY for the chance to win a free online course with experienced LifeWays teachers. The winner will be announced on Sunday, March 24th! 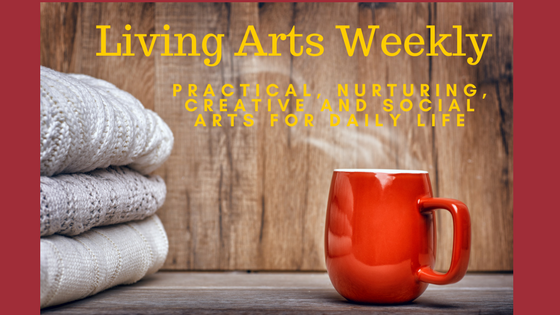 Each week in the Living Arts Weekly blog, we share inspiring content, fresh ideas, and inspiration to bring the Living Arts into your home or care setting. Social Awareness, introducing you to the wider LifeWays community to sustain and support you in your life and work with young children! As part of our celebration of community this week, we’d like to invite you to participate in a FREE video conference with author of You are Your Child’s First Teacher, Rahima Baldwin Dancy! This video conference will last one hour. Join in to ask your questions or just listen in on the discussion! Register here for the FREE video conference! Have you ever thought of building community through crafting? 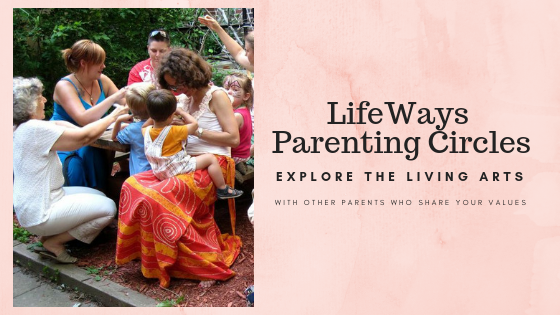 Consider offering a LifeWays Parenting Circle! Living Arts Through the Seasons student Joanna Lima Vaz shared with us how she is building community at Desert Marigold School in Phoenix. 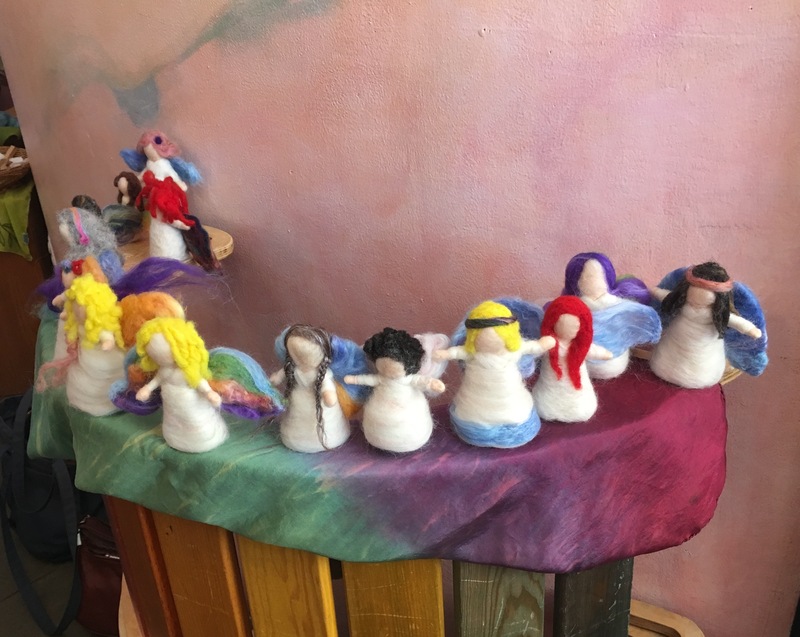 “At the end of January I offered a felt workshop for parents and everybody felted an angel. It was such a blessing sitting together, felting and sharing our stories and experiences. We had women from 3 generations: grandmothers, mothers and adult daughters. So many wisdom pearls we shared that day! I really enjoy those moments and sharing my passion to felt makes me feel so happy. If you would like to explore how to start a Parenting Circle in your community, join our Living Arts Through the Seasons online course. Each month, we offer a suggestion for a gathering, and our subscribers share ways in which they are building community! 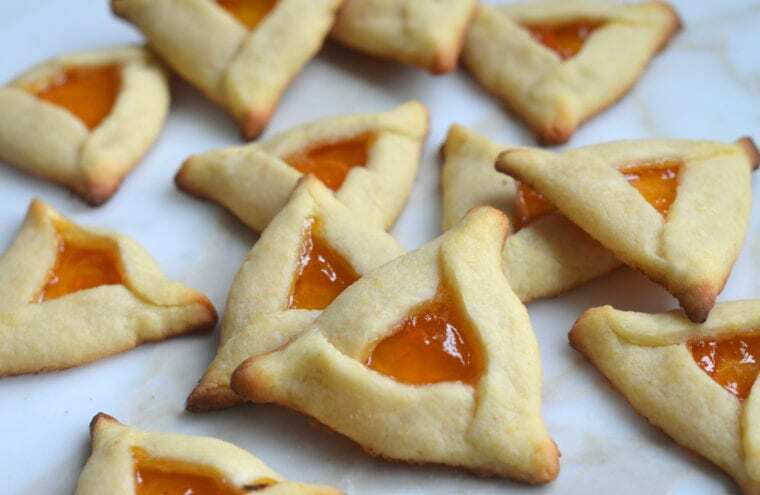 A buttery shortbread crust folded around a dollop of tart apricot or prune jam: these hamantaschen, or hat-shaped Purim cookies, are like glistening little fruit pies in cookie form. Feel free to play with the filling — any thick jam will work well. Click here for the recipe! 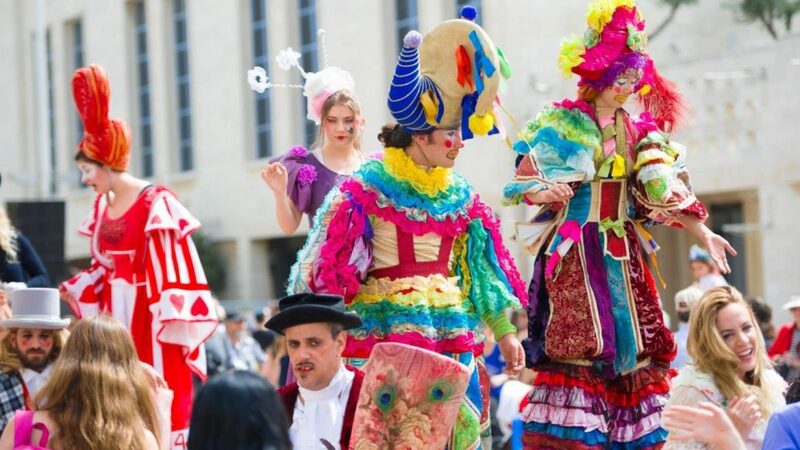 “Firstly, when thinking of Purim and the 0-7 year olds, I would say the themes are: Masks, Melodrama, and Merriment. There are some wonderfully simple puppet shows, with fairy-tale-like tones, which you could perform easily enough and would be well-received by an older kindergarten. They may be found in the Family Treasury of Jewish Holidays by Malka Drucker. For now, let us focus on the littler ones. One of the pieces I find to be a most joyful expression are the “Groggers” or noisemakers. You can take any soda can, fill it with pennies, and have the children shake it while jumping around. This is said to “make quiet dogs bark and barking dogs quiet” and will most certainly drown out “Haman”! If you have many hands helping, you may want to go so far as to paint the cans gold (or Mod Podge with gold paper?) and decorate them with purple crowns and stars of David. If you are short on time, or not interesting in crafting, tambourines, drums, horns, and cymbals will overpower Haman’s name with joyous music. If you were to tell an age-appropriate version of the story to the children (with or without the puppet show piece) they may then enjoy a little dress up and reenacting play. You can make simple tin foil crowns for Queen Esther and King Ahashverosh. 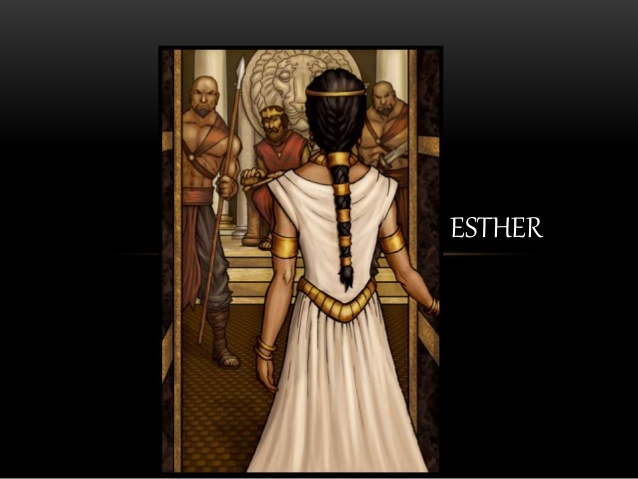 Esther needs a long white gown (or silk!) and the king will require a purple or blue robe/silk. Uncle Mordechai will have a full beard (cotton or wool). Haman will be dressed all in black. I love the Marianne Williamson quote you started with not sure if everyone is aware but she is running for president and changing the political conversation big time calling for a spiritual awakening in for the United States whether you vote for her or not giving $1 to her campaign Marianne2020.com will help her get to the debates and have her message be heard. I was expecting a child’s song but was delighted with this!